Hawaiian independent artist Kawehi (kuh-veh-hee) is known across the nation for her live shows as a "one-woman band," creating intricate loops via beatboxing, a guitar, a midi keyboard and Ableton Live. She is known for her opinionated songwriting, centering her music messages around social issues and injustices. Kawehi's videos and songs have been featured on CBS News Most Viral Videos, Vimeo, Booooooom!, Sony Music, Huffington Post, Esquire, Spin, Elle, Maxim, People, Devour, Gizmodo, etc. Her original music can be found on commercials throughout Asia for MasterCard and Casio. 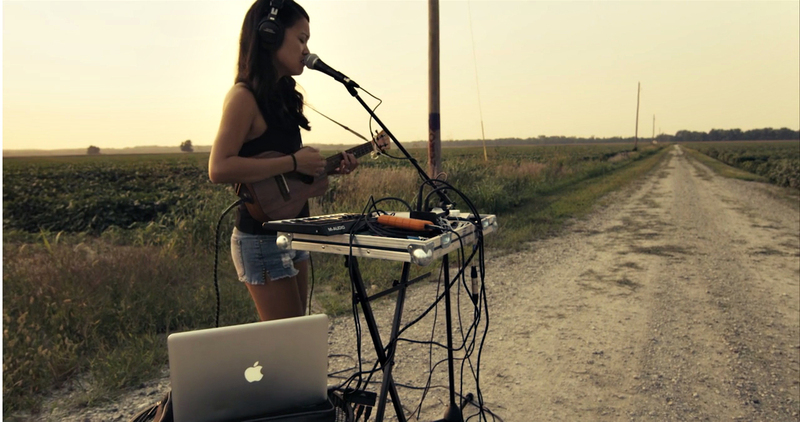 As an independent artist, Kawehi has taken to Kickstarter, raising funds for four EP's, a live album, a documentary and a US national tour through crowd-funding alone - staying true to herself and her fans by making the kind of music she is proud of. Kawehi is making a name for herself as a true DIY artist, creating music that is honest, creative and relative - and generating much-deserved attention from both fans and industry folk alike.